Earlier today, our friends at Walt Disney Imagineering released new images of the highly-anticipated Alien Swirling Saucers attraction, which is part of the Toy Story Land expansion of Disney’s Hollywood Studios. Toy Story Land will “shrink” guests to the size of a toy and allow them to explore Andy’s backyard – and all the fun he’s set up for his toys to have. 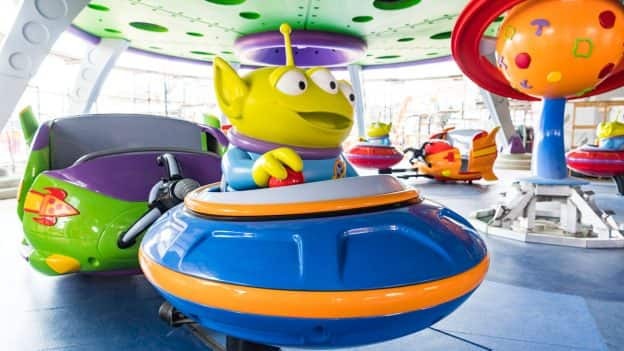 At Alien Swirling Saucers, which is an attraction that’s been designed to look like a toy from Pizza Planet and placed in his backyard next to his Buzz Lightyear’s Star Command playset, Aliens fly around in their toy flying saucers while “The Claw” appears overhead. As you whirl around the toy planets and space stations as part of the game, you’ll swirl to the beat of a fun electronic space music soundtrack that includes eight songs that may sound familiar, but will be heard in a quirky way you’ve never experienced before. Guests will also see pizza details throughout the attraction, including pizza columns, a pizza space station and the Planet Pepperonia. Alien Swirling Saucers is one of two new attractions planned to debut at Toy Story Land on opening day. The other is Slinky Dog Dash, where guests can take a ride on a roller coaster Andy has assembled from his Mega Coaster Play Kit – and placed Slinky and Jessie on top. Guests can also walk through a new carnival game box to experience Toy Story Mania!, a current guest-favorite attraction at the park. 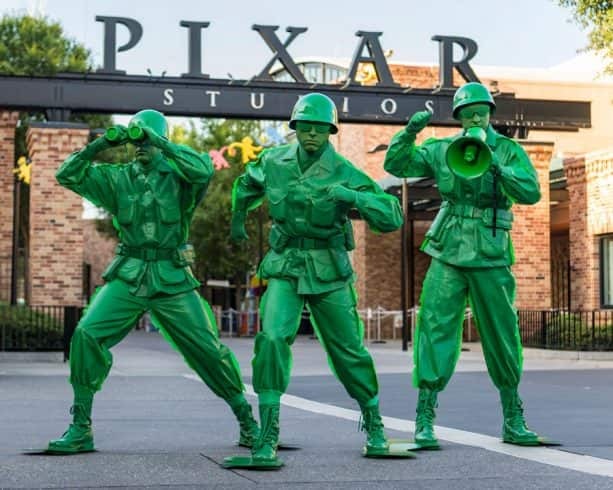 In addition to experiencing attractions in Toy Story Land, guests can also be entertained by the Sarge and the Green Army Man Drum Corps, who will march through the land several times a day and stop to play “Sarge Says” with guests, and other games with a larger-than-life Pixar ball and crayons. Guests also have the option to join in on their interactive boot camp to see if they have what it takes to become an official recruit in Andy’s Backyard. 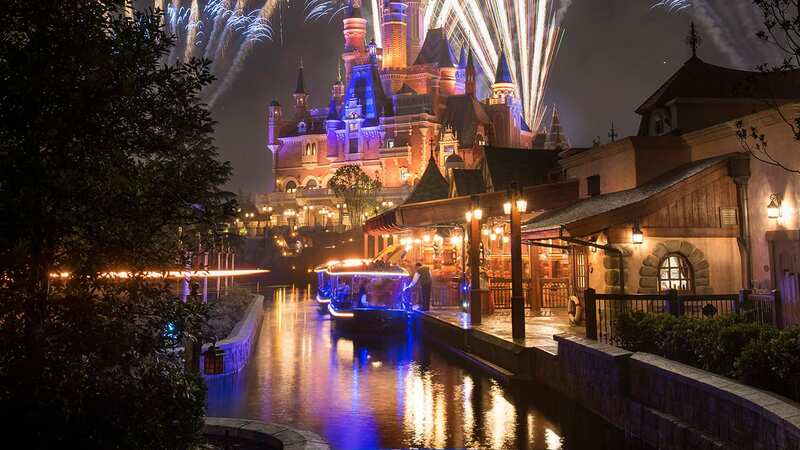 Will there be a passholder preview similar to Pandora? Has anyone heard about a soft opening for Toy Story Land?